I love period pieces; books that reflect certain times in history. 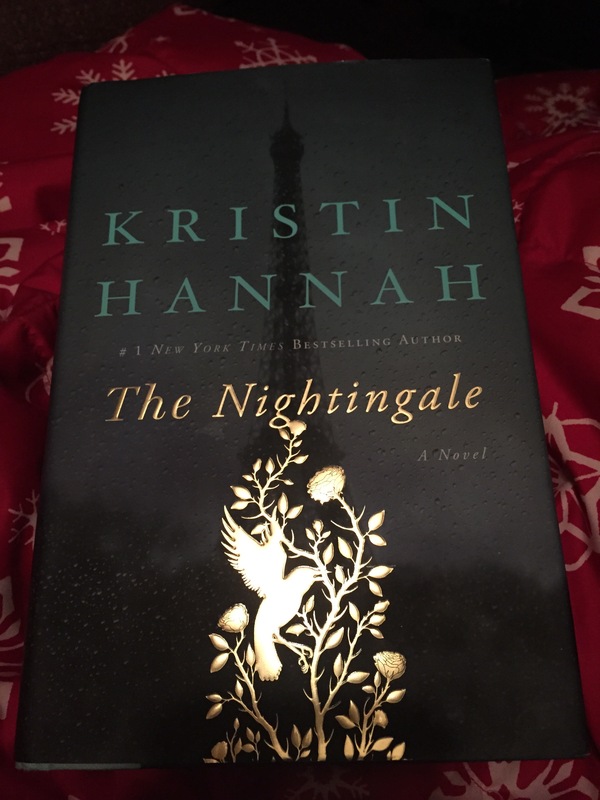 So, when my colleague recommended the book, The Nightingale, by Kristin Hannah, I knew I had to read it. Five pages into the book, I was hooked and couldn’t put it down. The Nightingale focuses on a family living in France during World War II. Sisters Vianne and Isabelle Mauriac are pulled into multiple directions as their home country is placed under Nazis occupation. Vianne’s husband, Antoine, is sent to the front, leaving Vianne and her daughter at home. The two are soon forced to live with the enemy after their home is taken over by Germans. As the years of war continue, food, money, and hope become scarce. Vianne finds herself risking her life to save those she loves. As for eighteen-year-old Isabelle, she fights the war in a different way. She joins the Resistance, where she takes hundreds of soliders to neighboring countries’ borders, saving their lives while putting her’s in danger. Bestselling author Kristin Hannah writes a story of courage, bravery, and family. She tells the unknown side of World War II: the women’s war on the homefront. Sisters, Vianne and Isabelle, are opposites in their beliefs and ways to fight the Nazis, but in the end each of them hold onto the values of strength and family to survive in war-torn France. This entry was posted in Uncategorized and tagged book, book review, france, huffington post, kristin hannah, new york magazine, new york times, penguin books usa, travel channel by METAYLOR. Bookmark the permalink.